Fisheries and Oceans Canada, frequently referred to as Department of Fisheriesand Oceans (DFO), is the department within the government of Canada that is responsible for developing and implementing policies and programs in support of Canada’s economic, ecological and scientific interests in oceans and inland waters. The federal government is constitutionally mandated for conservation and protection of fisheries resources in all Canadian fisheries waters. However, the department is largely focused on the conservation and allotment of harvests of salt water fisheries on the Atlantic, Pacific and Arctic coasts of Canada. 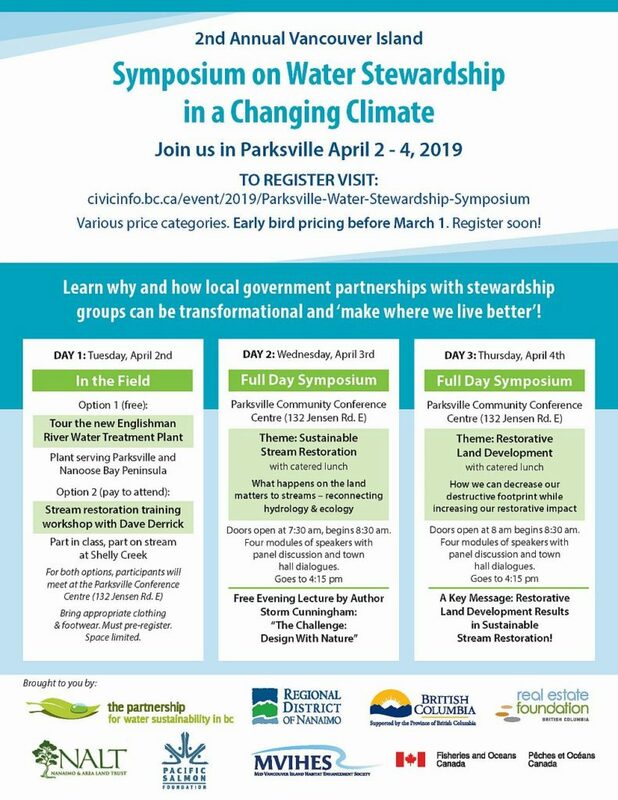 “DFO is a member of the Parksville 2019 Symposium Organizing Committee,” reports Kim Stephens, Executive Director, Partnership for Water Sustainability in British Columbia. “DFO involvement in delivering the Symposium program is viewed as a good thing. 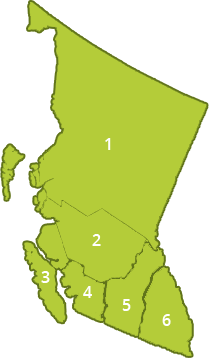 It bodes well as an added catalyst for the future, particularly in light of the emerging British Columbia Salmon Restoration and Innovation Fund initiative (and partnership potential) and elevated provincial interest and collaboration in salmon recovery. “Salmon are recognized as an iconic species, often considered the ‘Canaries of watershed health’ – with the basic premise being that what is good for salmon is indicative of healthy, productive watersheds and vise-versa. “Fisheries & Oceans Canada, Resource Restoration Program (RRP) is pleased to provide its endorsement and support for this key regional workshop and community engagement Symposium,” wrote Nick Leone in a letter of support for the Parksville 2019 Symposium. “The focus of the Partnership for Water Sustainability remains integral to the issues and concerns faced by communities, stakeholders and government agencies linked to land and resource use planning and the management of water; particularly in light of emerging climate change realities. “The issues around effective water management, and certainly as it pertains watershed planning and restoration efforts, aligns well with fisheries conservation and management considerations, including long-term water security and allocation, habitat productivity and ecosystem resiliency, and implications for Government and community-supported stock enhancement efforts. “Fisheries conservation management, inclusive of habitat restoration efforts are intrinsically linked to land and water use decisions that hold influence on natural processes and ecosystem functioning,” continued Nick Leone. “As such, there is a need for a broader, interdisciplinary understanding and collaboration around changes in hydrological regimes (variation) in response to climate change drivers that influence natural processes shaping our watersheds.